The Gambia is the 22nd African Country to ratify a continental free trade area protocol and is now putting it into motion. The African Continental Free Trade Area (AfCFTA), which was firmed up by member states in 2018, is expected to boost intra-Africa trade. It will see the 55 Africa states move towards a single market of 1.2 billion people, with a combined gross domestic value of $2.5 trillion. Research shows that with average tariffs of 6.1 %, businesses in Africa currently face higher tariffs when they export within the continent than when they export outside of it. However, this could be change after the 22 states agreed to be part of the continental free trade area. This means African businesses, traders and consumers will no longer pay tariffs on a number of goods and it is also expected to increase employment. The infographic shows countries that have ratified the AfCFTA. Last week Ethiopia also ratified the AfCFTA meaning only one more signatory needed for it to enter into force. 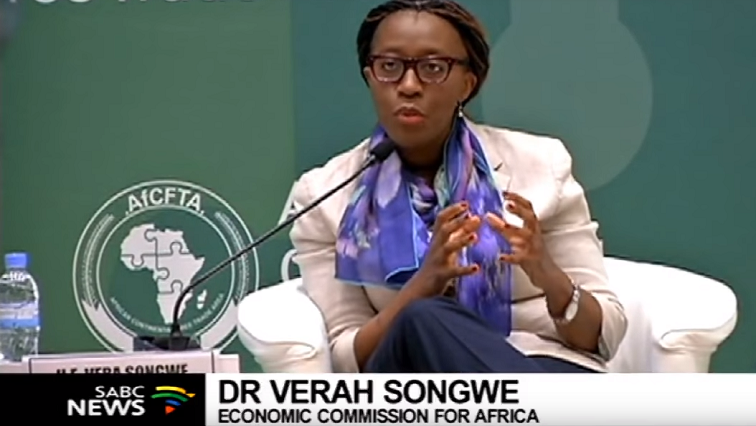 Executive Secretary of UN Economic Commission for Africa, Verah Songwe, says the CFTA is a stepping stone for African countries. The new trade zone aims to eliminate cumbersome customs procedures or excessive paperwork for cross border trade. It should make it easier for small and medium-sized enterprises to supply their goods within the continent or sell them to larger companies for export elsewhere. However, 33 African countries have not yet signed up to the CFTA. Director Regional Integration, UNECA Stephen Karingi says it is okay to have fears and concerns. Member states that have signed up still have to implement supporting protocols like the free movement of people. The African Union and the UNECA have come up with a set of guidelines for members to follow, which will help them better implement the CFTA. This will help them decide what products they should trade and suggest where their competitiveness lies. Although there may be teething problems to start with, it’s hoped it will bring prosperity to nations within the free trade area. The post Gambia ratifies AfCFTA, putting it into motion appeared first on SABC News – Breaking news, special reports, world, business, sport coverage of all South African current events. Africa's news leader..